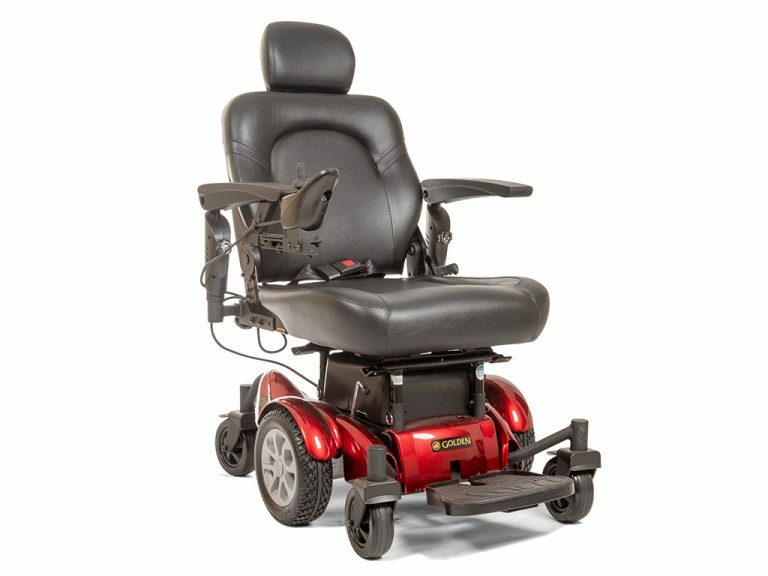 Power Wheelchair or Medical Scooter: Which One Is Right For You? Technological advances have facilitated vast improvements in the area of mobility. For the disabled, enhancements to both medical scooters and power wheelchairs have allowed for better access and mobility. If you are inerested in increasing your mobility, there are several factors to considering before finalizing your purchase. While both the power wheelchair and medical scooter are equipped with specific attributes to enhance mobility, yet each one is geared toward particular levels of disability and individual preferences. Wheelchairs have come a long way in terms of their design and comfort. In the past, manually operated wheelchairs were the only option and while the manual wheelchair is still widely used, the advent of power wheelchairs means that those with more severe disabilities can also enjoy greater freedom. Power wheelchairs are flexible in their capabilities and come in a variety of designs and sizes. An average power wheelchair comes equipped with the standard four (occasionally six) wheels, and a padded seat that can be specially fabricated to support and cushion each individual's body size and shape for maximum comfort. In addition, the power toggles are usually conveniently affixed to the arm area of the chair for ease of use. Nearly all power wheelchairs are for indoor and outdoor use. Depending on the size and electronic components of the specific device, most chairs have several speed levels that allow the user to maneuver through their environment at varying speeds. One of the most favorable amenities of the power wheelchair is its tilt and positioning mechanism. 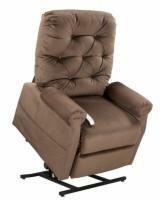 This provides the individual with the ability to change the angle and degree of the chair to maximize comfort and mobility. While the power wheelchair offers many positive benefits for those with limited mobility, there are disadvantages that must be taken into consideration. First, the weight of power wheelchairs can be troublesome. Most vehicles, elevators, and certain walkways have weight capacity limits. Certain power wheelchairs exceed the required weight and therefore interfere with the individual’s freedom of mobility. Second, the overall size typically requires a special handicap-accessible vehicle for safe transport. Finally, a power wheelchair can be quite an investment. For some, a Medical scooters may be the perfect alternative to a power wheelchair. Modern scooters come with a variety of capabilities and are availble is many different styles that take the hassle out of traveling with a mobility impairment. The average medical scooter is small, lightweight, and easy to maneuver. Scooters are better able to fit into tight spaces and do not pose a weight risk like the power wheelchair. Transporting a medical scooter in a vehicle is also a simple task. Travel models fold and store without taking up much room, and many 3 wheel models will break down for easier storage in a vehicle. 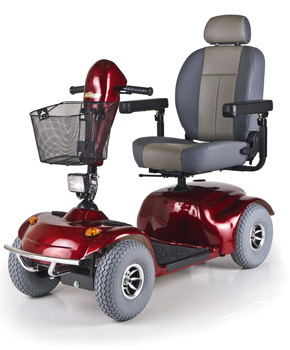 Another advantage of the medical scooter, as compared to a power wheelchair, is the price. The scooter is an affordable option for individuals with disabilities. The disadvantage of a medical scooter is that the design may not be adaptable for severely disabled individuals who may have trouble holding a steady upright posture. Depending upon individual mobility needs, power wheelchairs and mobility scooters help those who are disabled remain mobile and more independent.